By Julio Perez Jr. (Kyoto-shi, 2011-13) for JQ magazine. A bibliophile, writer, translator, and graduate from Columbia University, Julio is currently seeking opportunities with publications in New York. 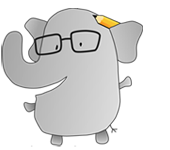 You can follow his enthusiasm for Japan, literature, and board gaming on Twitter @brittlejules. This illustrated history of Japan is praised for its accuracy in portraying the atrocities of the Japanese military during the Pacific War while also showing how the Japanese people themselves suffered on the home front. At 91 years old today, Mizuki has given us a complete and accurate account of an entire age that few alive today remember and that the rest never knew firsthand. The story is an important and valuable resource meant for generations of people who have not experienced the chaos of war and the despair of starvation. The manga is very much meant to educate the next generation of Japanese children about the controversial and darker parts of their history and to serve as a cautionary tale to remember in times of peace. It does not sugarcoat anything, and gives great insight into the tensions between Japan and China, North and South Korea, and other countries in Asia that persist today. With its English translation, the work’s message of peace remains just as clear to other audiences and exposes English-speaking readers to a side of World War II, or rather the Pacific War that draws Japan into it, which most Eurocentric histories of the war gloss over. Reading the final product, one can see that both the original work and the translation were very much labors of love. An extensive section of notes is used to explain and give context to historical events and individuals, and the original Japanese meaning and tone is well preserved, even when characters discuss old economic philosophies and classifications of battleships. Mizuki combines extensive research and his own memories into two main narratives through which we learn about Japanese historical figures and events through the eyes of politicians, economists, generals, soldiers, merchants, farmers, families, and young children living in the Japanese countryside. He uses his character Nezumi-Otoko (sometimes translated as Rat Man), one of the iconic characters of his seminal work Kitaro, to explain and give context to the reader through a myriad of historical events such as assassinations, military actions, and attempted coups, alongside Mizuki’s own, often comical, story of growing up with all of those events being the concern of adults. For example, after the prologue completes a sobering portrayal of the Great Kanto Earthquake and the Showa Financial Crisis, we are first introduced to Mizuki as a child, who can only think of trying to eat anything he can get his hands on from rocks, to wood, to a comical attempt to eat the golden ball on top of a flagpole. If you enjoy or are interested in manga, history and yokai, or if you appreciate excellent works such as Barefoot Gen and Maus, then Showa 1926-1939: A History of Japan and the rest of the series is a must-read. 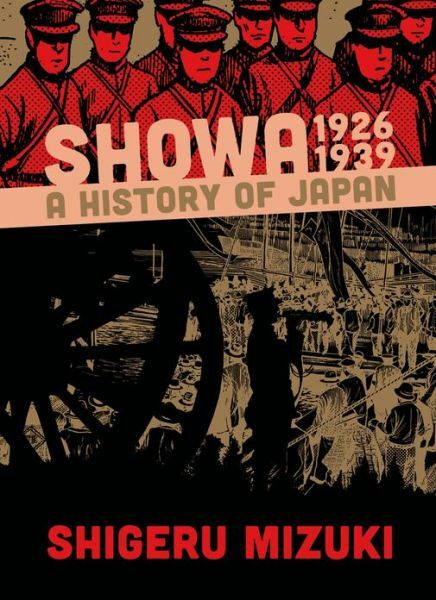 The next volume, Showa 1939-1944: A History of Japan will be released May 27, and is available now for pre-order at a reduced price on Amazon. If you cannot wait to read more of Mizuki’s other works, Drawn and Quarterly has already published his award-winning Onward Towards Our Noble Deaths, and his yokai-focused cultural landmark manga Kitaro and NonNonBa. For a preview of Showa 1926-1939: A History of Japan, click here. For more JQ magazine book reviews, click here.